I'm still in love with shaker cards. 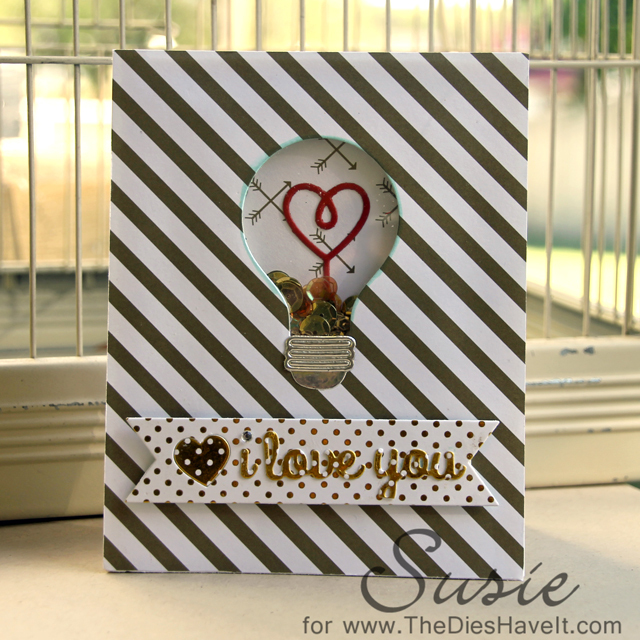 I was wondering if I could use my MFT Stamps Lightbulb Die to make a shaker and the answer is YES! I was so excited because it all came together so quickly..maybe even on my first attempt! I used some silver metallic paper to make the bottom part of my lightbulb and that just made it perfect! I used some gold papers to accentuate the idea of light and I love the way the card turned out. OK - off to make more shaker cards!